The 400th episode of DGS is fast approaching! #400 should be airing on December 6. Let’s celebrate and tell the boys how much we love them and their antics when they hit this milestone! This past week’s episode was already #395 so I apologize for organizing this so late. I hope many people will be able to participate! 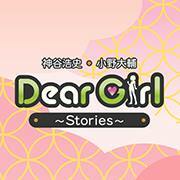 Send drawings of our favorite DGS memories along with letters and snacks. Drawings on a sign board (shikishi/色紙), letters, and snacks from your country. All submissions must be received by November 23. Again, I’m sorry for organizing this late. Since DGS is recorded two episodes at a time, with my calculation, the 400th episode will be recorded as the second episode on the week of November 23-29 so I’d have to send in the stuff before they record the episode. Please try to have all drawings on a 24.2 x 27.2 cm shikishi sign board (the same kind used for Kamiya’s 20th anniversary project). If you are unable to obtain a board, please draw on a paper no larger than 24.2 x 27.2 cm and then cut out the drawing. I will paste it on a board for you. Drawings can be anything related to DGS, such as memorable scenes, characters, or objects. Be creative! If you will be writing a letter, please try to handwrite it. Since Christmas is coming up, I will also accept Christmas letters. Do not write or draw anything inappropriate. This means no BL and no marriage proposals. Snacks should be non-perishable and the expiration date should be at least 2-3 months from now. It would be best if the snack is native to your country. If you will be sending a letter along with a drawing, of course you only need one envelope for the letter and then a larger envelope for both the drawing and the letter. Art can be mailed as-is without being sealed in an individual envelope. If you are submitting a drawing, please include your name and country on the back of the board. If you’ll be cutting out your drawing for me to paste onto a board, please write it on a separate paper and I will write it on the back of the board. If you will be writing both a letter for the DGS 400 project and for Christmas, please write on a sticky note which one the letter is for so I don’t send the wrong one. Since the submissions must be delivered on time, it would be best if you can ship by EMS to make sure I receive it by the deadline.